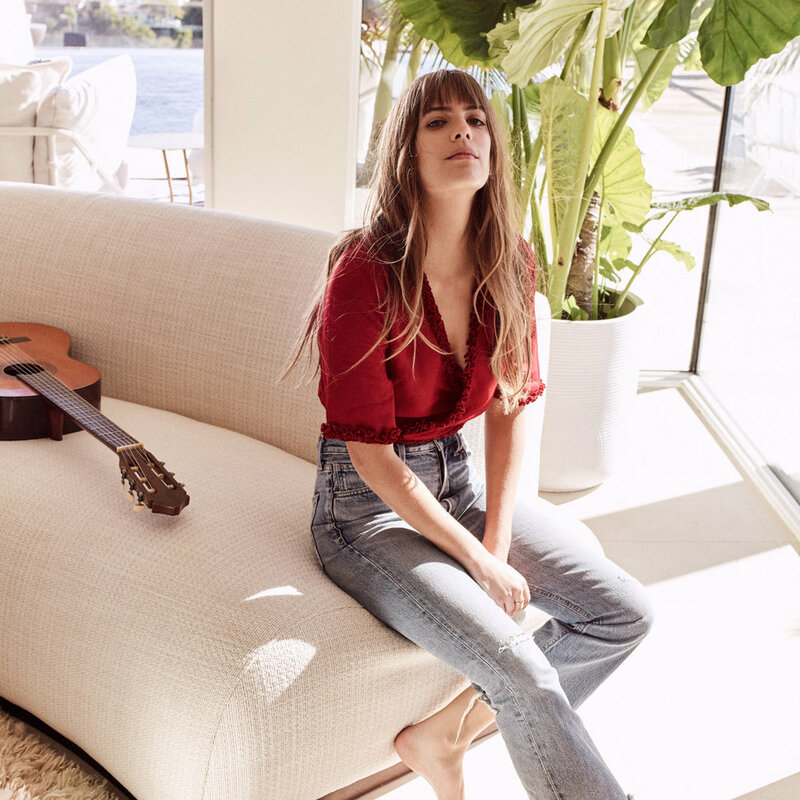 Building on the success of the Venice Collection collaboration for client Fred Segal and CB2, the retailer commissioned Brand Studio to develop a follow-up collection that would build on the easy essence of LA through fashion-led home product. 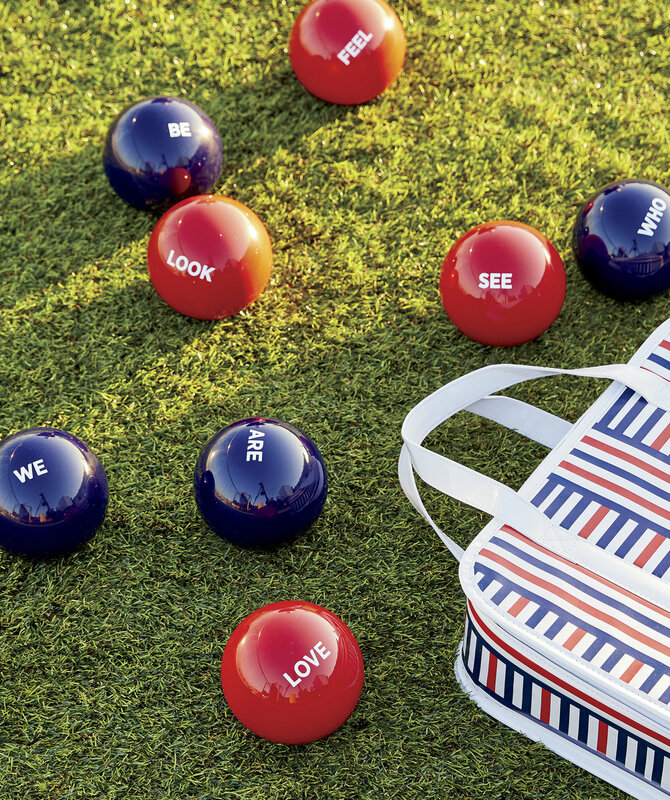 For a Spring/Summer launch, the Studio put a pin on the map at a beloved place and time of LA – the Pool Party in Hollywood with a fresh Seventies California dream life flair. 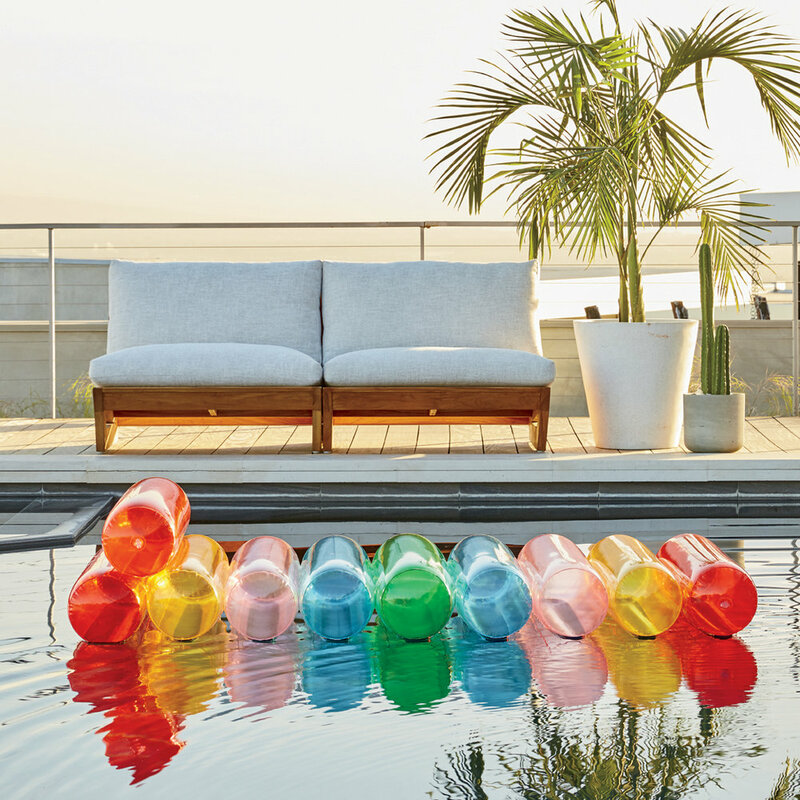 The 30+ piece collection celebrated the sleek sunny optimism of the storied Hollywood hills through graphic entertaining pieces, refreshed futurism in oversized architectural outdoor pieces and a luxe white textural palette. 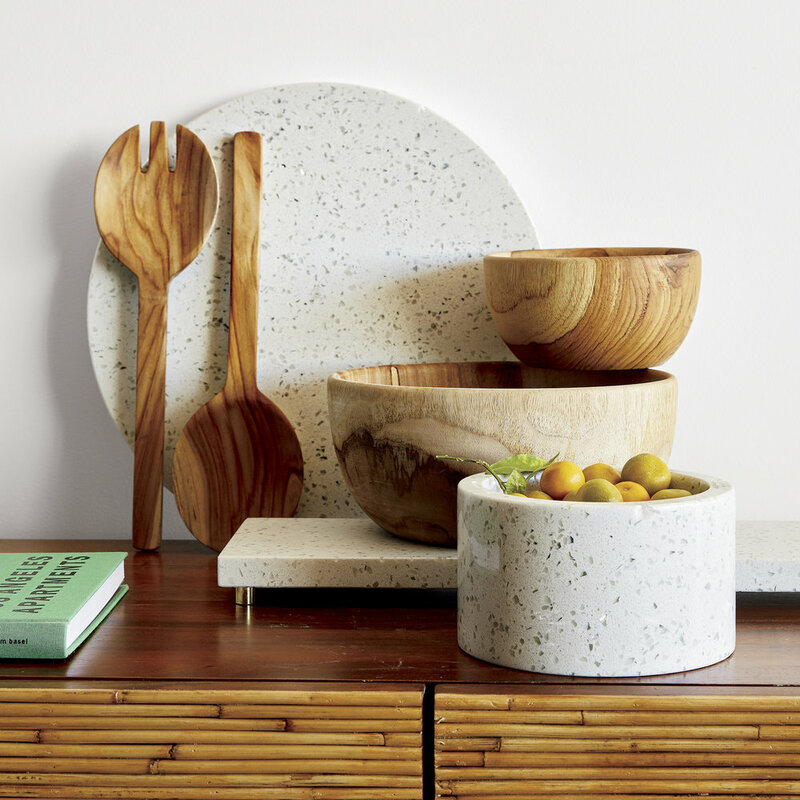 The Studio developed all aspects of the collaboration from product narrative to tech pack to launch campaign for CB2. To date, it’s recognized as the brand’s most successful collaboration through sales and media impressions. 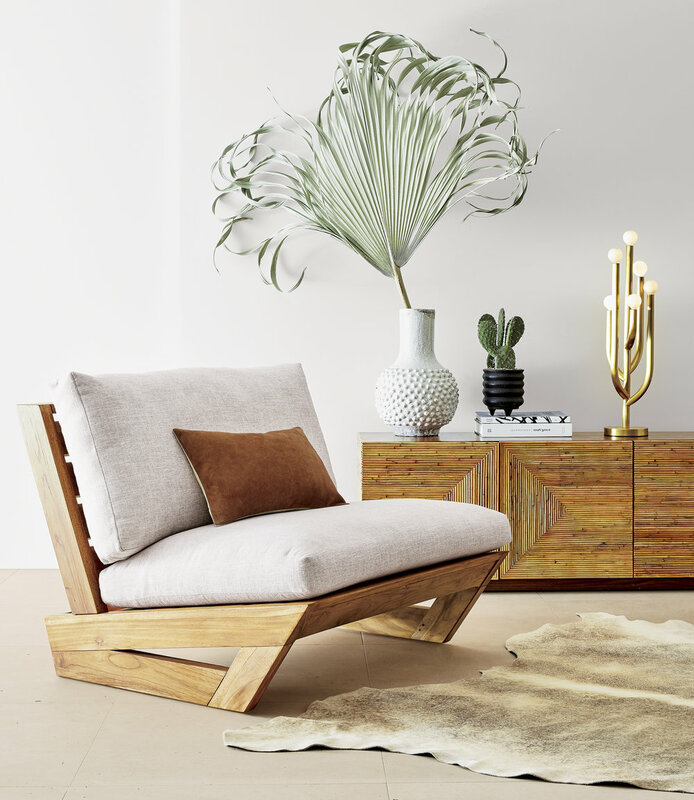 To add to the brand love match, the project and clients were as dreamy for the Studio as the creative results. 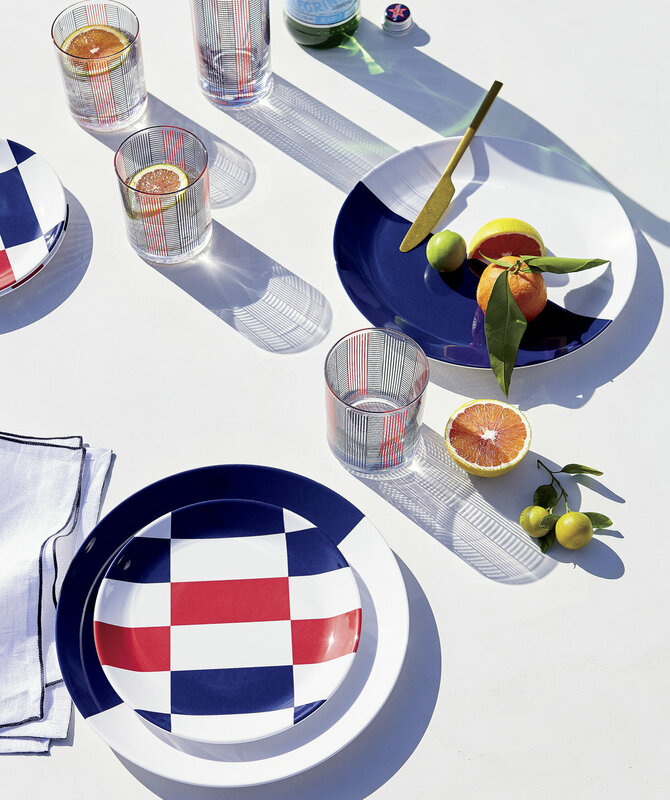 The collection included a set of couches, tables, cutlery and dishes, pool games, and other delightful accessories to addd to the flair.